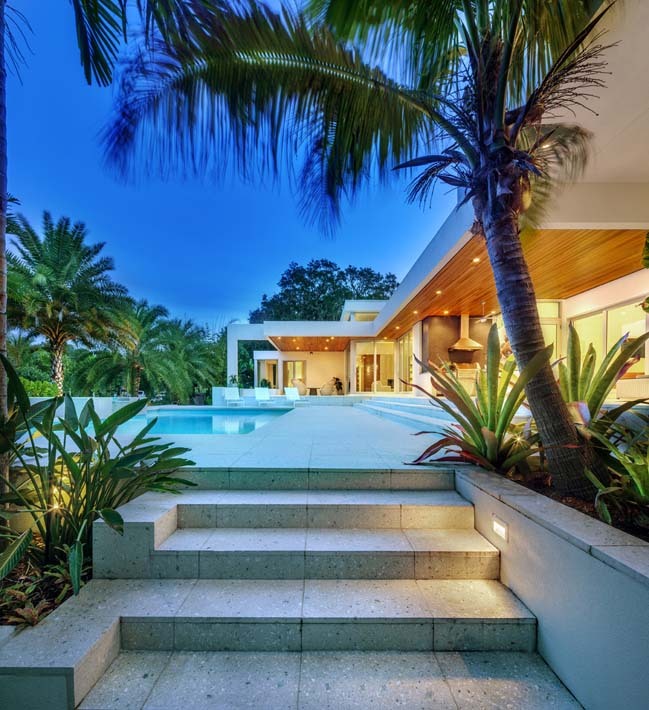 According to the architects: The owners wanted a home, pool, and landscape design that embraced the existing large live oak trees with a layout that was both modern and livable. 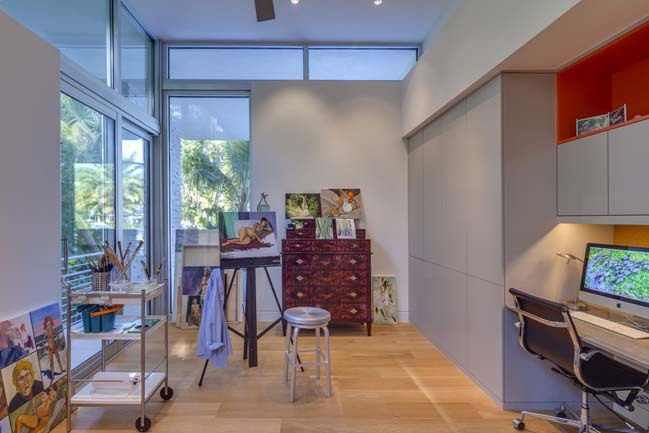 Working within these restrictions and the challenges of the owner’s needs, the Architect created a master plan for the site with a compact but open back yard and a flowing private front yard. 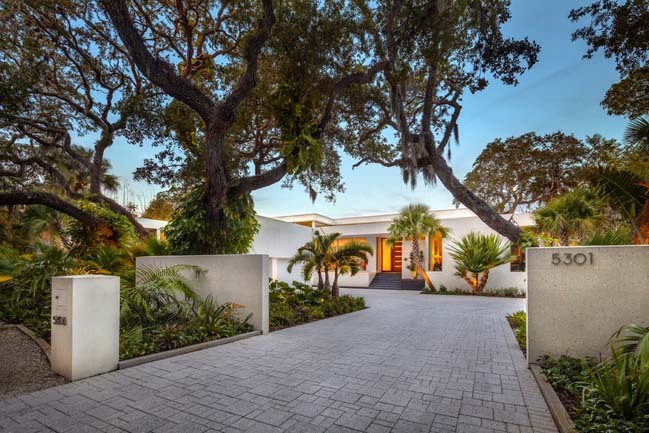 Tall native Sabal palms were designed into the landscape and appear as they would naturally—interwoven between the large oak trees seeking light through portals within the oak canopies. Other native species were added in harmony with the existing canopy to provide textural balance, screening and visual interest in the front and back yards. The house itself blurs the boundaries between inside and out. 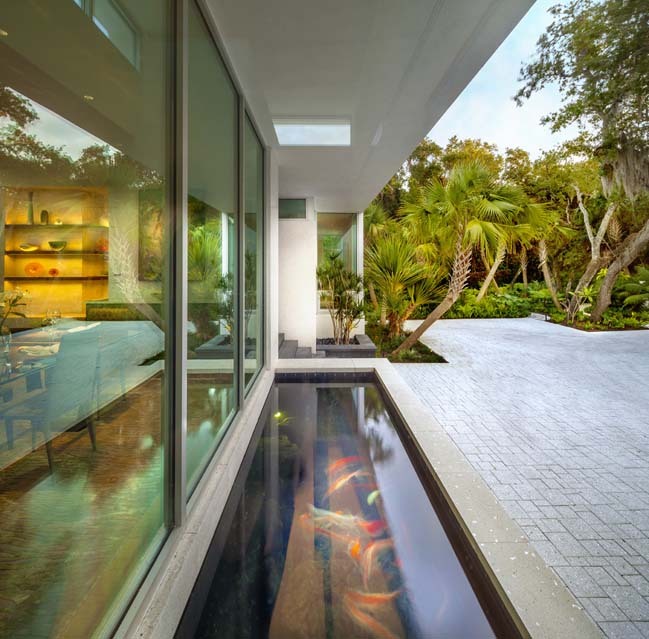 Large sliding glass doors that disappear into the walls create an uninterrupted flow from the home to the patio. 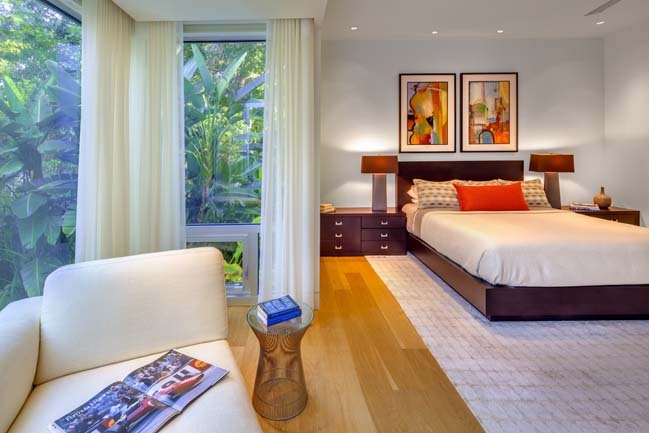 Inside, the use of light as an element to define rooms allows for an open plan while still providing intimacy. 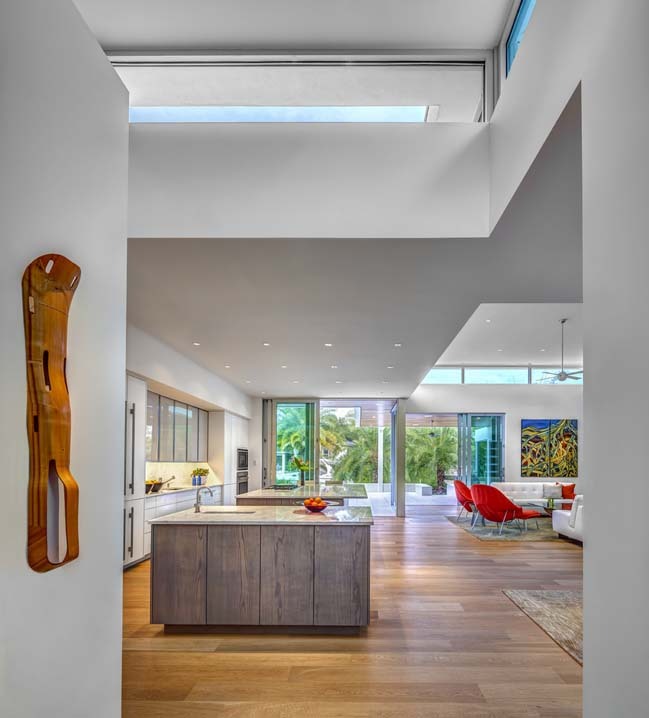 Through the use of detailed design elements with a focus on nature, the home enhances its setting and is a partner with it. 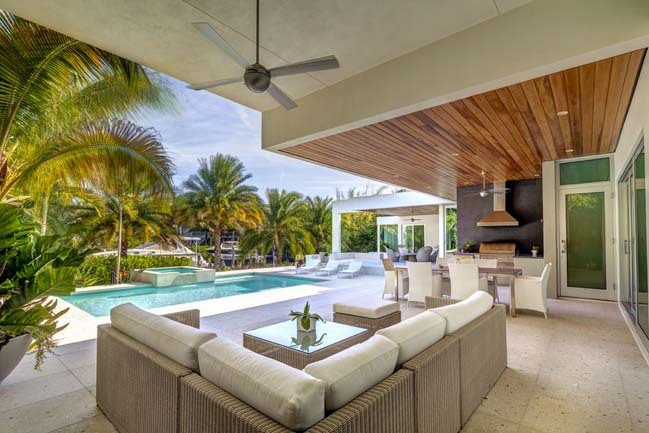 Attaining LEED Gold certification by carefully balancing natural and man-made elements, this design goes back to basics with true sustainability using shade, natural ventilation, local materials, and a sympathy with the tropical Florida landscape.